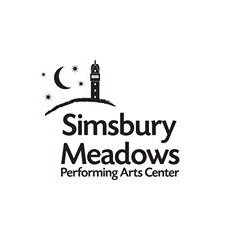 The Simsbury Meadows Performing Arts Center is a state-of-the-art venue located in the heart of downtown Simsbury. Comfortably situated in the scenic Farmington Valley, mid-way between Hartford and Litchfield, Simsbury Meadows is the state's second largest outdoor venue, with a capacity of 10,000. We offer convenient road access, ample parking, and both I-84 and I-91 are within easy reach. There is a charming town center and a number of excellent restaurants within easy walking distance. The Meadows sits on Iron Horse Boulevard, adjacent to several hundred acres of pristine open space along the Farmington River.